Looking for a way to get more veggies and fruits? Alive's! blend helps you discover the magic of organic kale, acai and raspberry to boost your daily intake. 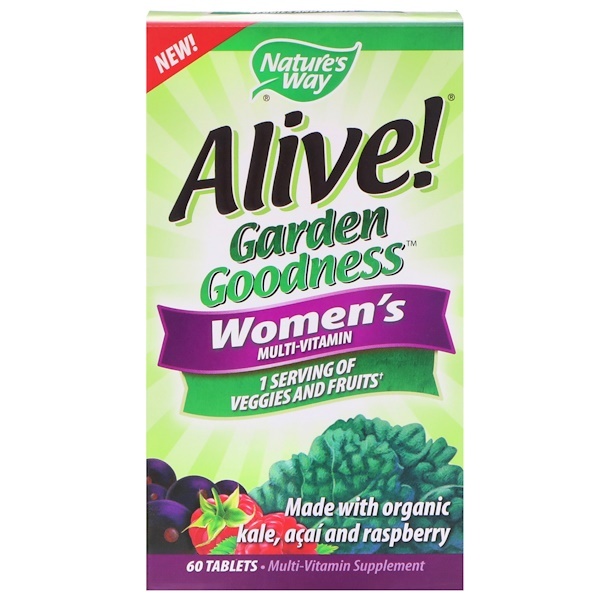 †1.4 gm fruit and vegetable blend per serving. 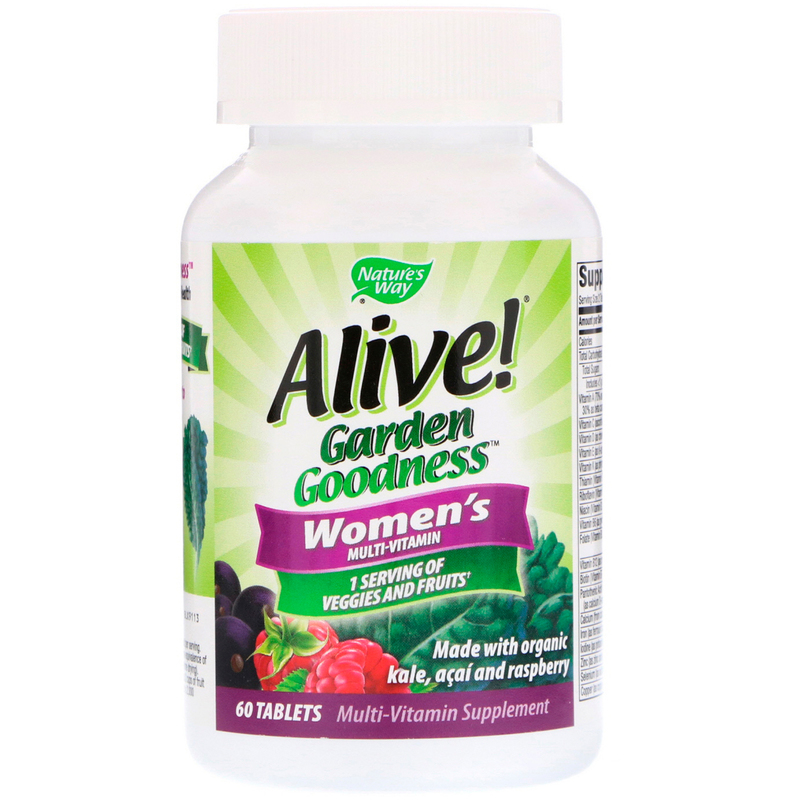 Each 2 tablets serving provides the equivalence of 1 cup of leafy greens (volume before drying). ChooseMyPlate.gov recommends 2 cups of fruit and 3 cups of veggies per day for a 2,000 calorie diet. Take 2 tablets one daily, preferably with food. Not recommended for men or children. If you are pregnant, nursing or taking any medications, consult a healthcare professional before use. Organic dextrose, organic carnauba wax, organic maltodextrin, organic sunflower lecithin, organic palm oil, organic guar gum. Gluten free. No salt, yeast, wheat, soy, artificial colors or flavors. 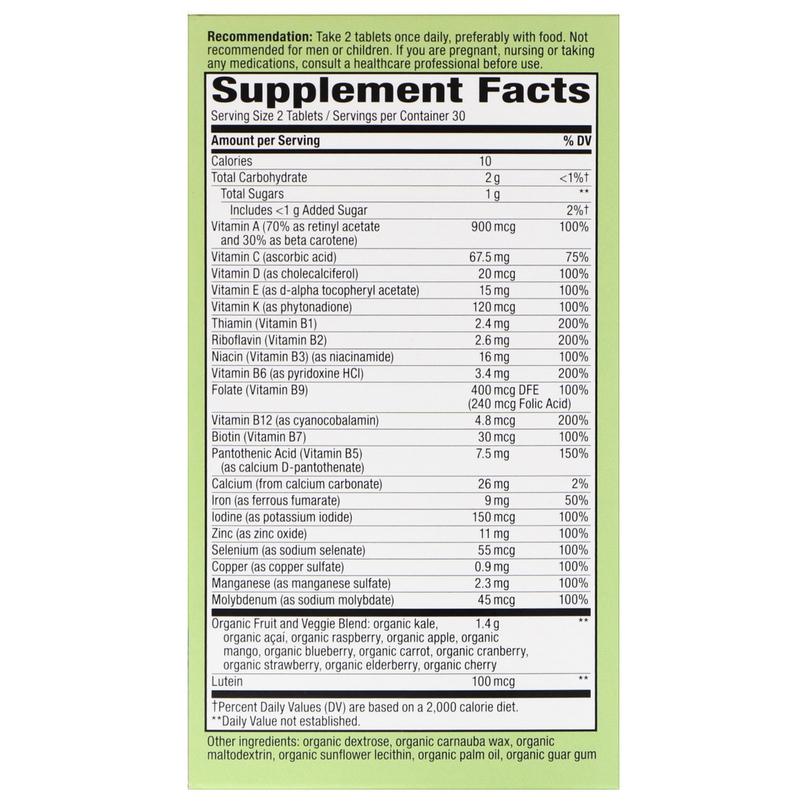 Includes <1g Added Sugar 2%"